Loosen the screw of the battery door and install a 9V battery( 9V battery not include ). Hold the arm pole and change the three-position switch from "off" to "alarm". The green LED power light will be on and a short beep can be heard. Use a coin to test the metal detector function. When the coin passes the detector an alarm or vibration will occur. Sensitivity tuning methods: adjust the sensitivity in the "sensitivity tuning hole" on the right of the metal detector with a small screwdriver. Adjust clockwise to increase the sensitivity and anticlockwise to reduce the sensitivity. 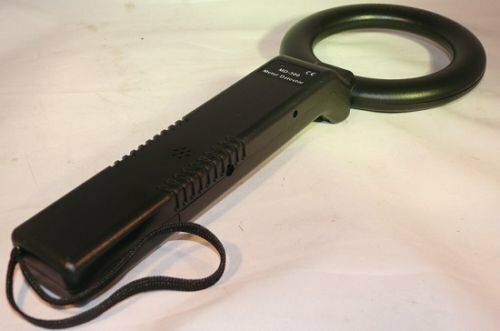 Low voltage alarm: when you turn on the power switch of the metal detector but hear continuous alarm, it means the battery voltage is low and should be replaced.